The XG model has 1G/10G ports and is of similar form factor to other Trident+ switches. Hewlett-Packard is more flexible on packaging by giving you the option of single or dual power supplies. Also a Trident+ derivative, the G model has 1 Gb/s Tw-Pair ports and both 10G SFP+ and QSFP+ 40G uplink ports. HP has what they call Quick Specs which is a document that runs about 30 pages. 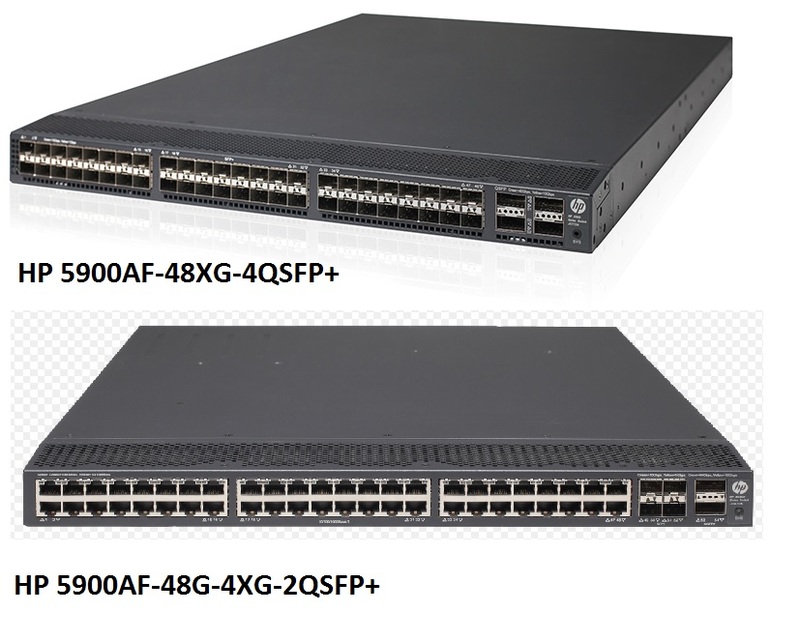 HP appears to offer these switches for Open Flow applications, but not in this data sheet. If HP has an ONIE loader in their switches, they aren't talking about it here. While this web page is not about pricing, the current (June 2014) CDWG rate is $16K for the SFP+ model and $6K for the tw-pair 1G model.